Absoft's Most Advanced Fortran Development Environment Previously Available Only in v10.1 Pro Fortran Suites, is now available for PPC Users! The new v9.5 release retains previous compiler technology for compatibility with existing applications and adds the new Absoft Fortran IDE, next generation Fx3 Debugger, the new Absoft Editor, improved I/O Libraries, and support for both Absoft ACC and Apple C/C++ compilers. 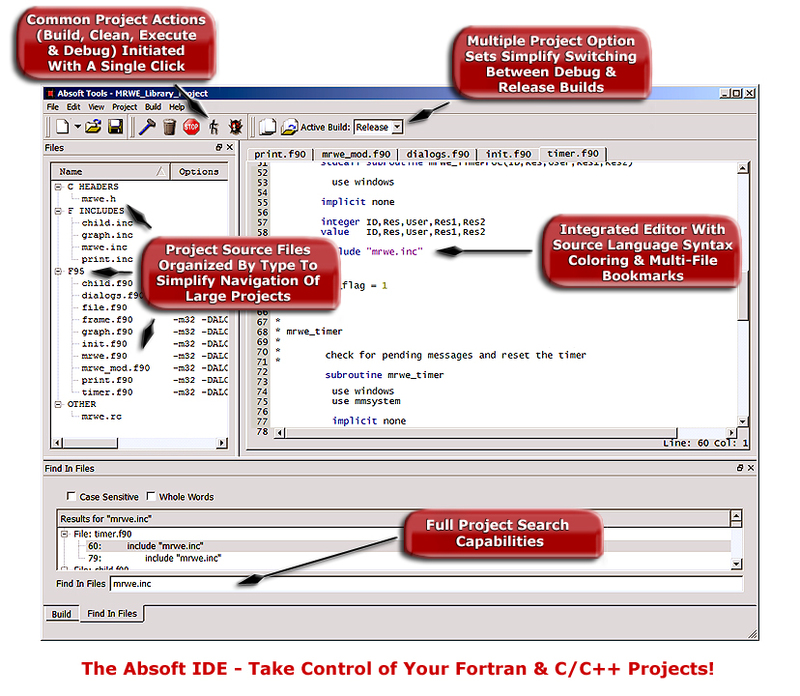 Absoft Pro Fortran v9.5 is the most complete Fortransolution for Mac OS/PPC (G4/G5). 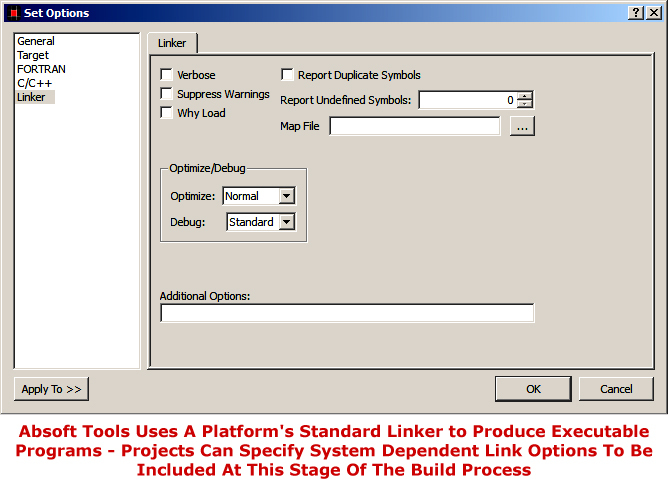 Fully compatible with OS X Tiger & Leopard and tuned for G5, Pro Fortran includes an ANSI/ISO Fortran 95 compiler capable of generating both 64-bit and 32-bit executables and C/C++ (32-bit G5 only) compiler, all of which are link and debug compatible with Apple C and other tools. For those with newer MacOS/Intel Systems: v9.5 is fully compatible with the MacOS/Intel under Rosetta. *Note - the emulator will slow down your performance significantly! For best performance on an Intel based Mac, try the Absoft Pro Fortran for MacOS/Intel which is designed specifically for your Intel based system. 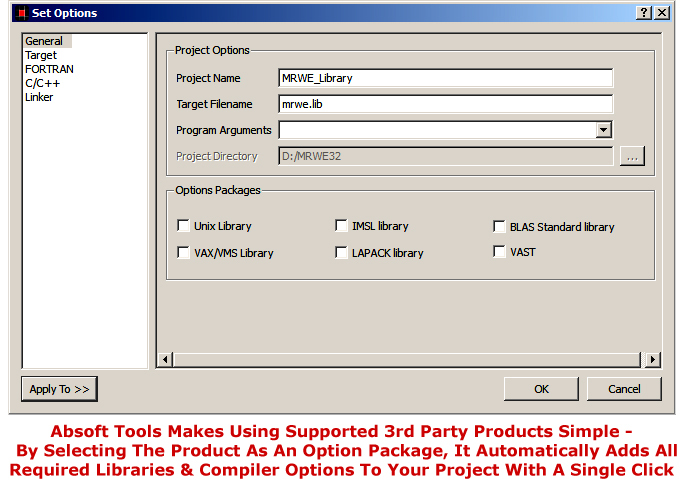 Includes a powerful IDE which supports additional compilers and select third party applications such as IMSL libraries as plug-ins on G5. Stand alone applications can be created with the click of a mouse. Also included are 2D/3Dgraphics, BLAS, ATLAS, LAPACK90 and HDF libraries and free technical support from friendly engineers included at no additional charge. Free standing applications can be created automatically. 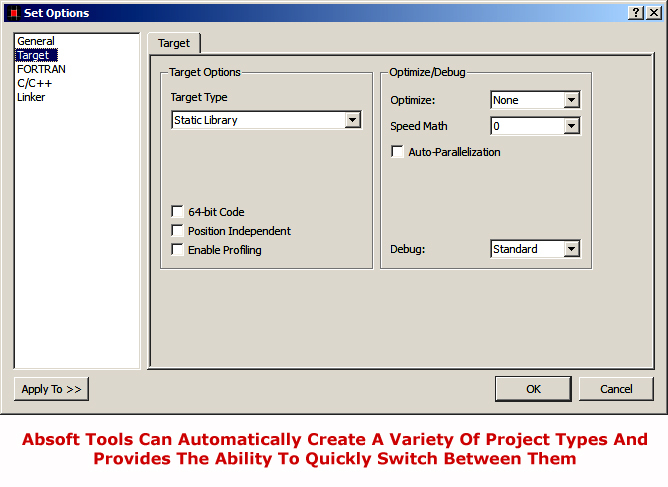 The programmer's editor uses color syntax to highlight key words and data types. 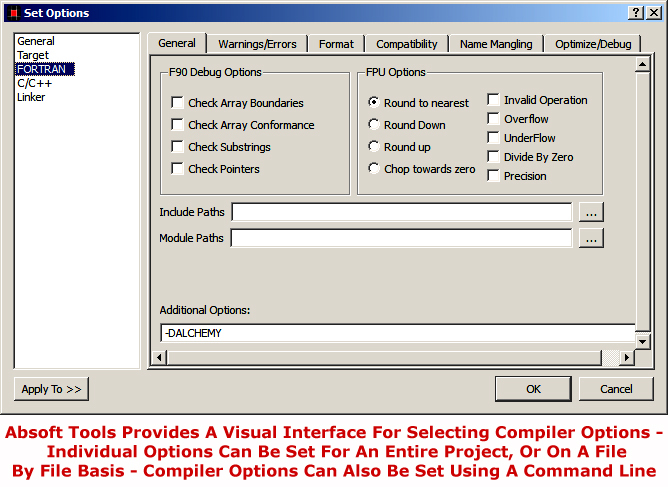 The Absoft Fx3™ Debugging Solution fully supports Fortran and intermixed C and assembly code. 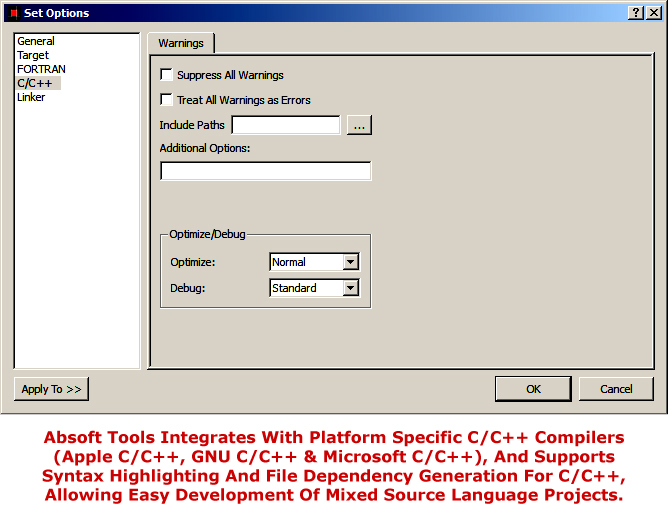 Create mixed language applications with Fortran, C/C++ and assembler using the single Absoft environment. For users working in multiple environments, multi-platform discount bundles are available. Additional Benefits: Pro Fortran includes Absoft's no-charge companion home license policy allows registered customers to install Pro Fortran on their home system for personal use at no additional cost. Each license includes Absoft premier technical support, free service packs and periodic software fixes at no additional charge.